Born in Nottingham, Christopher was educated at Nottingham High School, The Skinners' School, Royal Tunbridge Wells, and Pembroke College, University of Cambridge, where he read Classics and Music. After a year of postgraduate study in Prague, in 1965 Christopher joined the Academy of St Martin-in-the-Fields and became a founder member of the Early Music Consort before forming the Academy of Ancient Music (AAM) in 1973. During his 33 years as Director of the AAM, Christopher produced more than 200 solo keyboard, chamber, orchestral, choral and opera recordings for Decca. He enjoyed the freedom to embark on major, ground-breaking projects — many were the first on period instruments — interspersed with less well-known repertoire, often from performing editions he had prepared himself and always as part of carefully-curated programmes. As his conducting repertoire broadened to include 19th- and 20th-century works, Christopher established his reputation as a specialist in neo-Baroque and neo-Classical music, particularly that of Martinů, many of whose works he recorded with the Czech Philharmonic Orchestra. Christopher spent significant periods as Artistic Director of the Handel and Haydn Society, Boston, and as Principal Guest Conductor with the Saint Paul Chamber Orchestra, Minnesota, Kammerorchester Basel and the Poznań Philharmonic Orchestra. In addition, he directed acclaimed operatic runs at Covent Garden, La Scala, the Paris Opéra, the Deutsche Oper and the Sydney Opera House. ch-by-mb-027.jpgThe full range of Christopher's conducting work was supported and often driven by his musicological activities. He produced more than 100 editions, including Brahms chamber music and Mendelssohn orchestral works for Bärenreiter, a substantial body of keyboard and chamber music with Edition HH, and volumes for Boosey & Hawkes, Faber and OUP. He was an editor and board member for the complete editions of C. P. E. Bach and Martinů, and the Founding General Editor of the Francesco Geminiani Opera Omnia, published by Ut Orpheus. Known early in his career as the presenter of The Young Idea on BBC Radio 3 and noted as one of the first musicians to address the audience during concerts, his precise, concise and engaging delivery was matched by his elegant prose in numerous articles and books, including Music at Court for The Folio Society, the BBC Music Guide to The Trio Sonata, and his classic 1984 biography of Handel, revised in 2007. In recognition of his work, Christopher received Honorary Doctorates from the Universities of Cambridge, Keele and Zurich, and the Royal College of Music, as well as the Handel Prize, the Martinů Medal and the Distinguished Musician Award from the Incorporated Society of Musicians. He was created a CBE in 1989. At the University of Cambridge, he was Emeritus Honorary Professor of Music and an Honorary Fellow not only of his own college, Pembroke, but also of Jesus College. He was a Visiting Professor at both the Royal Academy of Music and King's College London, Professor of Music at Gresham College, a Tutor and Visiting Artist at Harvard University, and Andrew D. White Professor-at-Large at Cornell University. 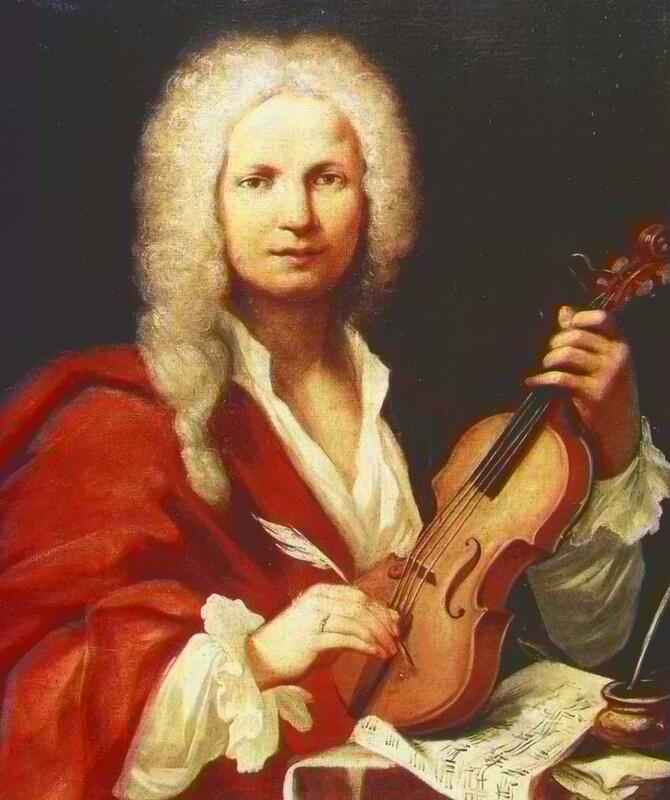 Here are the must-have Vivaldi recordings.